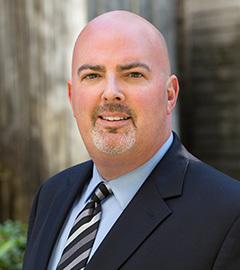 A little about me: I have been handling personal injury, wrongful death, insurance, and medical malpractice claims in Washington since 1995. I am dedicated to efficiently and compassionately representing my clients to assist them in seeking resolution and compensation for their losses. My philosophy is to represent my clients aggressively to obtain a fair and just result. I work closely with my clients so that I best understand their cases and how their injuries or losses have affected their lives. I will create reasonable expectations and options for you to consider and pursue. I will provide you with the information and tools to help you make the best decisions designed to maximize the recovery on your claim. I will work collaboratively with you throughout the process. I will provide you with the legal advice and counseling you need to make informed decisions and then aggressively, but reasonably, represent your interests to achieve the goals you set. For a free initial consultation and case evaluation with an experienced attorney in Seattle who handles medical malpractice claims, please contact me. We are lucky in the United States to have access to some of the world’s most advanced and modern medicine. Doctors are able to treat conditions today through cutting edge surgical procedures, treatments and medications, which were not even dreamed of a few years ago. In my experience, most doctors and healthcare providers genuinely care about the well-being of their patients and strive to do their best. Even the most well-intentioned healthcare providers, however, occasionally make mistakes, sometimes with horrible and life-altering consequences for their patients. Where these mistakes are the result of negligence, the injured party or their family may be entitled to pursue a medical malpractice claim. 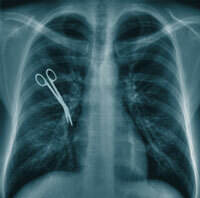 I have over 14 years experience handling medical malpractice claims in Washington State. My past experience includes defending doctors on behalf of their insurance companies. This experience helped me gain valuable insight into how to evaluate and prepare a medical malpractice case. Since 1998, I have been representing patients and their families who have suffered harm as the result of a negligent healthcare provider. Medical malpractices cases are usually complex and require review and evaluation of medical issues and close consultation with highly qualified doctors, nurses and other experts in the medical field to assess whether a physician or healthcare provider committed medical malpractice. Because of the difficulty of these cases, it is essential to thoroughly investigate all aspects of a potential claim and speak to an experienced medical malpractice attorney early in the process. For a free initial consultation and case evaluation with an experienced attorney in Seattle who handles medical malpractice claims, please contact me. In Washington State, claims arising out of healthcare have been codified into a series of statutes - RCW 7.70, et seq. Under these statutes, there are three basic ways to establish a claim for medical malpractice: (1) lack of informed consent; (2) breach of the standard of care; and (3) breach of a promise. As breach of promise claims are exceedingly rare, I will limit my discussion to the first two and much more common claims. Under the provisions of this section a fact is defined as or considered to be a material fact, if a reasonably prudent person in the position of the patient or his representative would attach significance to it deciding whether or not to submit to the proposed treatment. The recognized serious possible risks, complications, and anticipated benefits involved in the treatment administered and in the recognized possible alternative forms of treatment, including nontreatment. If a recognized health care emergency exists and the patient is not legally competent to give an informed consent and/or a person legally authorized to consent on behalf of the patient is not readily available, his consent to required treatment will be implied. For a free initial consultation and case evaluation with an experienced attorney in Seattle who handles medical malpractice claims, including claims resulting from a lack of informed consent, please contact me. For a free initial consultation and case evaluation with an experienced attorney in Seattle who handles medical malpractice claims, including claims resulting from a failure to follow accepted standard of care, please contact me. Although medical malpractice errors cause thousands of serious injuries in this country every year, many patients fail to follow-up on their claims because they are intimidated by the complex medical issues and challenges associated with a medical malpractice action. Let me review your case and help make the complicated simple. Where appropriate, my office will obtain a review of your case by a well-qualified medical expert who will provide opinions regarding the care you received. If you need a medical malpractice lawyer in Seattle, you will find that I am thoughtful, compassionate and thorough in my approach to you and your case. For a free initial consultation and case evaluation with an experienced attorney in Seattle who handles medical malpractice claims, please contact me.